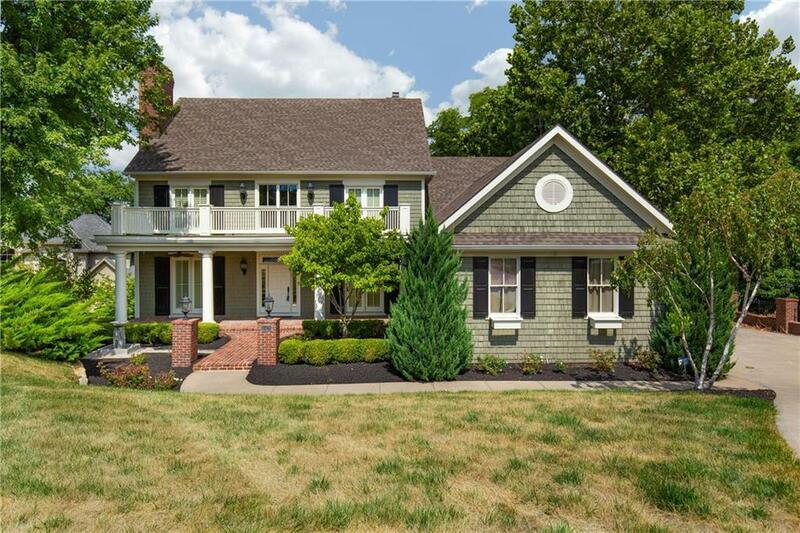 Incredible colonial looking modern home is located in a family friendly community sitting above downtown Parkville on the MO River Bluff. Quite cul-de-sac surrounded by lush green space. The 2 tier basement lends itself to many possibilities. Workout space and office on upper level overlooking common area great for gaming area and large media area. 4th garage in the basement would be great for motorcycles, lawnmower and yard tools or UTVs! Hardwoods throughout first floor except master bedroom. Private deck!